«This is an investment for the future and a historic day for us, the environment and for the coast of Norway. The combination of batteries and the most environmental friendly and efficient gas-powered engines on the market result in a much better environmental footprint,» says Daniel Skjeldam, CEO of Hurtigruten. The new engines running on liquid natural gas (LNG) are developed by Rolls-Royce Marine. The deal signed with Rolls-Royce Marine on Friday includes six of Hurtigruten’s current vessels with an option of doing the same shift with three additional vessels. Today, the vessels have engines running on diesel. Shifting from diesel to hybrid-battery power is to be completed by 2021 and concerns the ships sailing along the coast of Norway from Bergen to Kirkenes. Today, Hurtigruten sails daily voyages on the route along the coast of Norway bringing both passengers and cargo to the coastal communities. Hurtigruten has two new vessels under construction, the «Roald Amundsen» and «Fridtjof Nansen» that will run on hybrid-power. Those two ships will sail expedition cruises to Arctic waters like Svalbard and Greenland. Next summer, Hurtigruten sails two voyages to Russia’s Franz Josef Land via the port of Murmansk. Clean Arctic Alliance is a campaign network working for protecting the Arctic from hazards and risks posed by the use of heavy fuel oil in shipping. «Introducing hybrid-electric propulsion for Arctic cruise ships will help reduce a range of damaging emissions, including black carbon and CO2, as well as eliminating the risk of oil spills», says Dr Sian Prior, Lead Advisor to the Clean Arctic Alliance in an e-mail to the Barents Observer. She says what now happens in Norway and the Arctic should have impact on other waters as well. 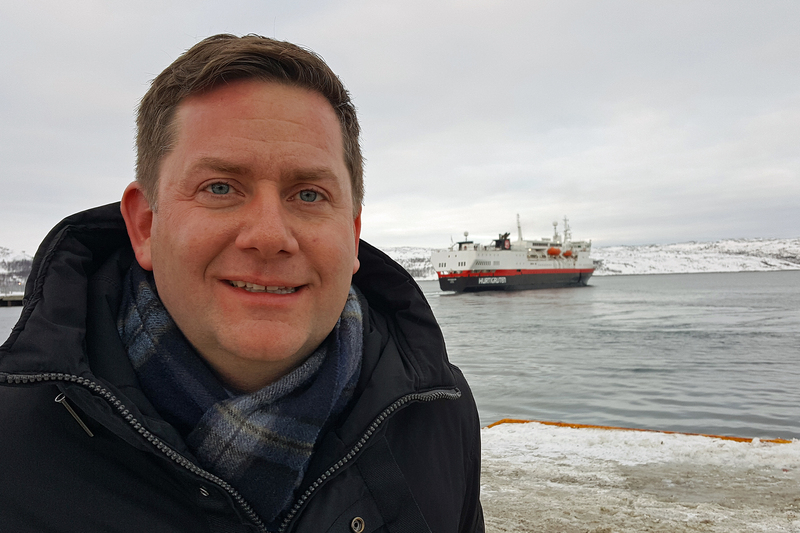 «Bold steps being taken by companies like Hurtigruten to champion a ban on heavy fuel oil use in the Arctic and promoting alternative sources of energy will help drive zero emission future for shipping, not just in the Arctic, but throughout the world’s oceans,» Dr Prior says. One of the member groups in the Clean Arctic Alliance is Bellona who cooperates with Hurtigruten on ways to redue emissions. Enge is especially glad this initiative comes from a cruise liner that sails in Arctic waters. «The International Maritime Organization (IMO) prepares for a ban on heavy fuel oil in the Arctic from 2021. Reducing black carbon is one of the important arguments in the new rules, and the use of LNG eliminate that problem,» Sigurd Enge explains. Also Enge calls on other operators of cruise ships in the Arctic to shift from diesel to gas and batteries. Daniel Skjeldam underlines the importance of preserving the environment in the waters where Hurtigruten sails. 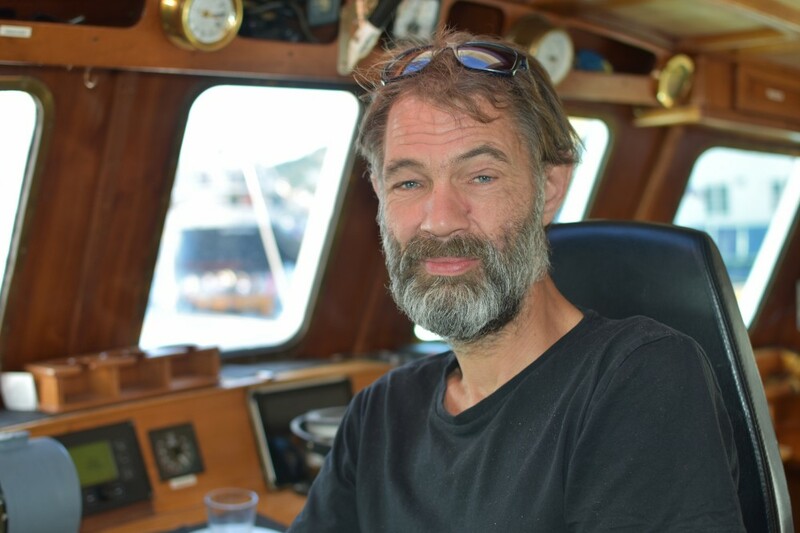 «We are looking forward to sail on gas and batteries along the coast of Norway,» he says.